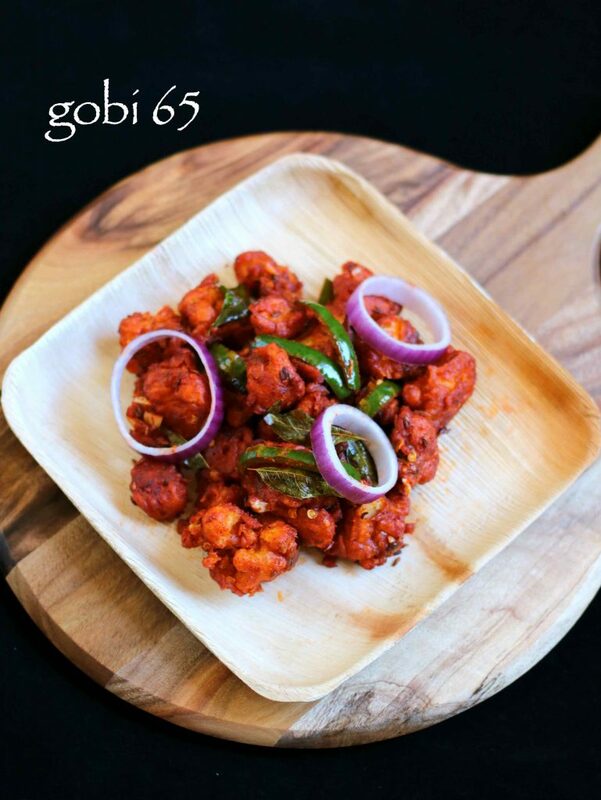 gobi 65 recipe | cauliflower 65 recipe | gobi fry recipe with detailed photo and video recipe. 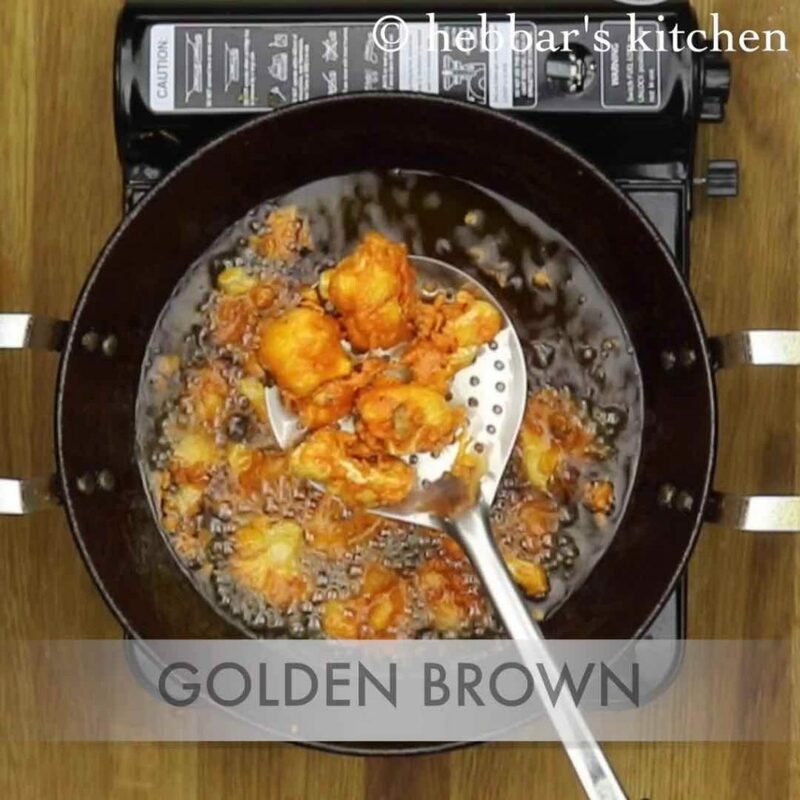 basically a crispy fried snack prepared from gobi florets which is tossed with chill and other sauces. 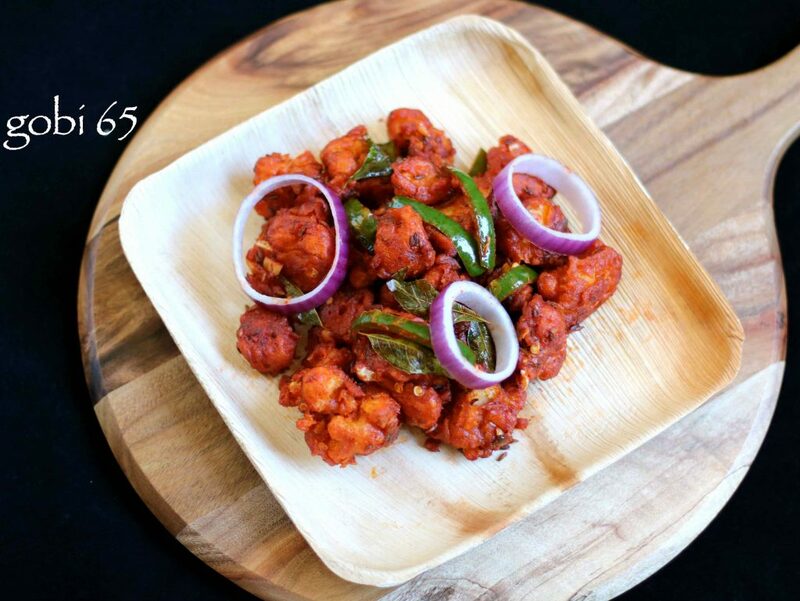 cauliflower 65 is served as a starters and is a popular street food of india. 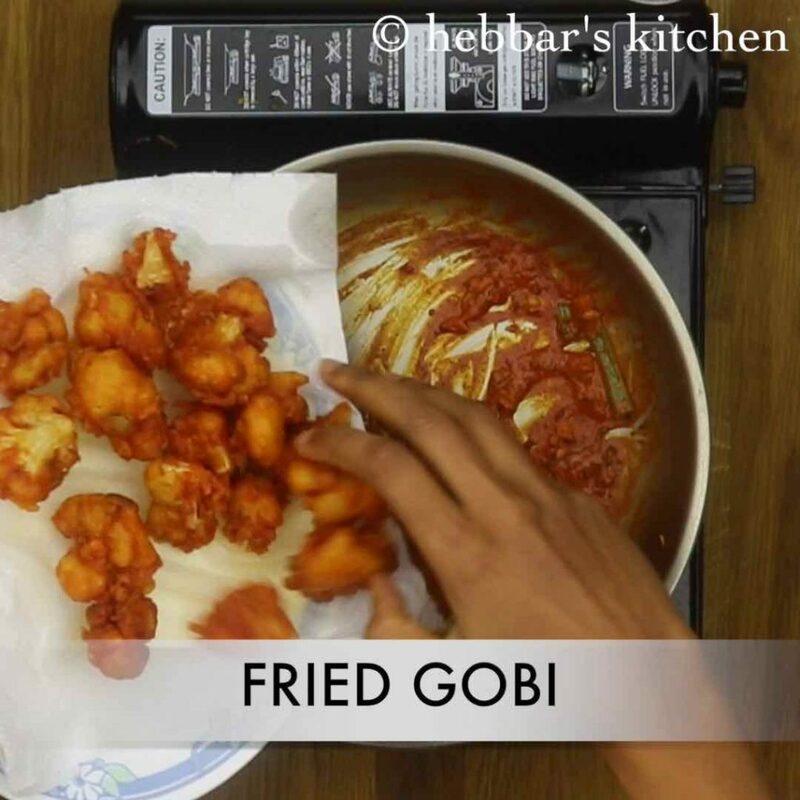 gobi 65 recipe | cauliflower 65 recipe | gobi fry recipe with step by step photo and video recipe. cauliflower 65 is an adapted recipe of chicken 65 recipe for vegetarians. it is usually served as snacks or starters before main course meal. 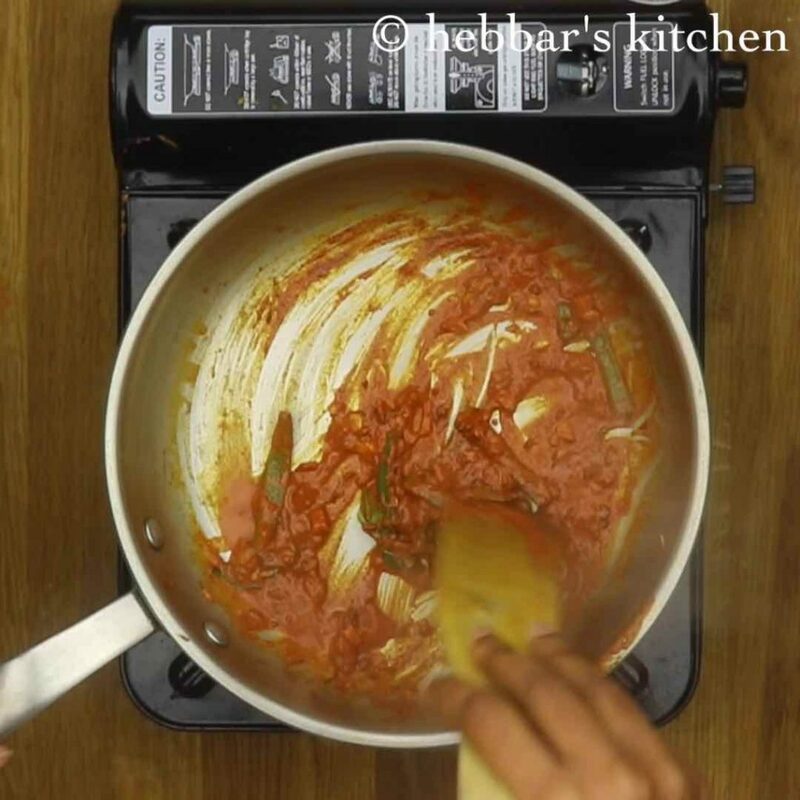 while, there are several variations to this recipe, however usage of red chilli powder and onions remains constant. i have always been an ardent follower of paneer recipes and paneer starters recipe. having said that, gobi 65 recipe and gobi manchurian recipe has a special place in my choice of starters. i still remember my first encounter with cauliflower 65 recipe. i was on my annual holiday trip to goa and i saw a street vendor preparing this freshly near baga beach. initially i was skeptical, however after my husband’s insist i gave a try to this recipe. well, with the first bite, i had to acknowledge the spicy taste of gobi 65 recipe. 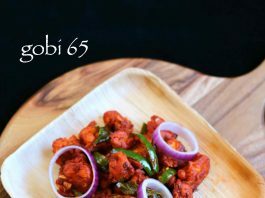 furthermore, the history of gobi 65 or number ’65’ associated with a recipe is interesting. chicken 65 recipe was originated in a small military canteen of chennai. like most of the restaurants in chennai, even in this canteen all the menus were written in tamil. however, most of the indian soldiers did not know to read tamil. they made their choice by citing the number of the dish on the menu. gradually, the dish became very popular among the soldiers by word of mouth. soon all the soldiers started to refer this recipe as chicken 65 or gobi 65 recipe. finally, do visit my other collection of indian street food recipes collection. particularly, chilli paneer, bread 65 recipe, idli manchurian recipe, veg manchurian recipe and paneer frankie recipe. also, check my other indian snacks recipe collection. especially, paneer ghee roast, corn cheese balls, spring rolls and veg cutlet recipe. 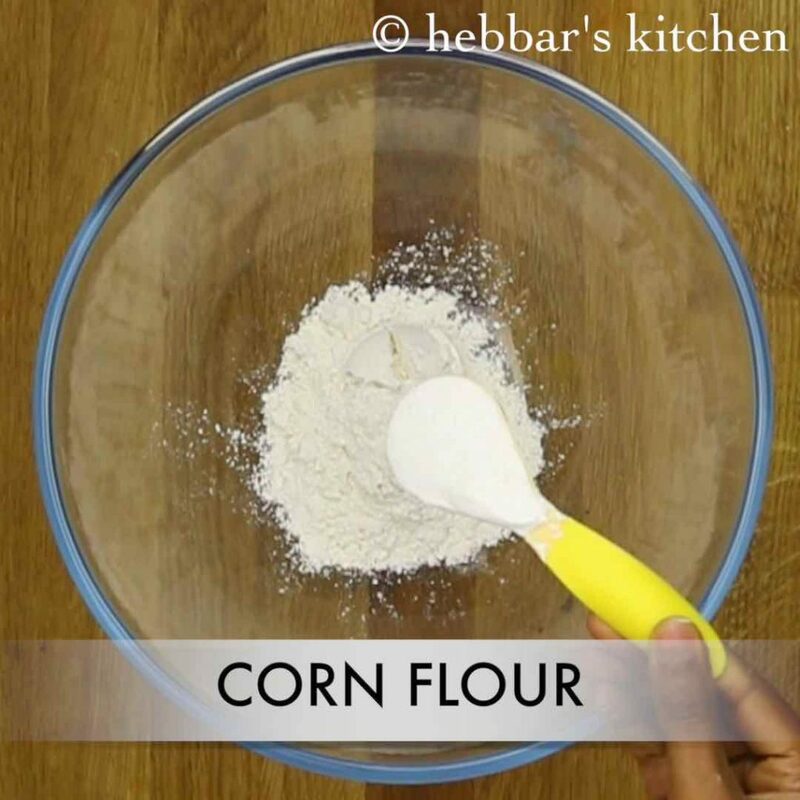 firstly, in a mixing bowl take maida and corn flour. furthermore, add ginger and salt. 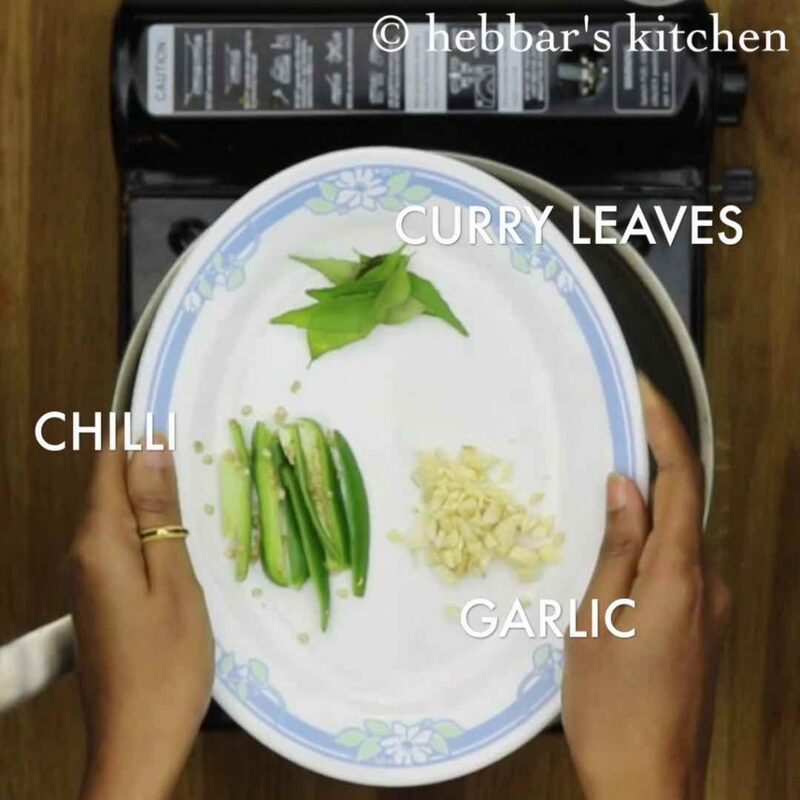 also add garam masala, pepper, chilli powder, curry leaves and oil. then add water and make a smooth batter. further, add gobi florets and coat with batter. 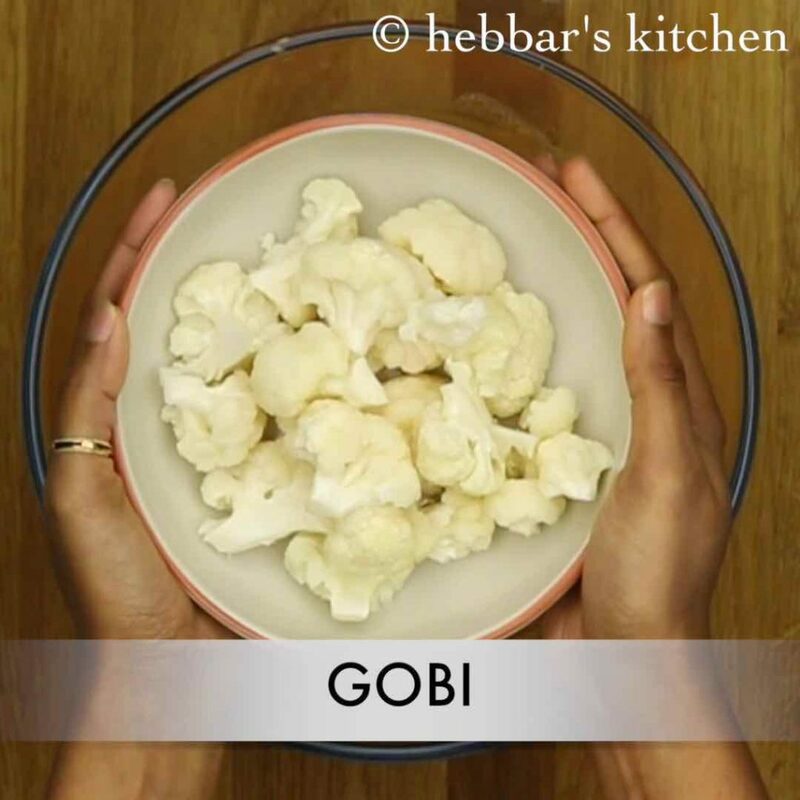 make sure to boil and cook the gobi for 3 minutes in water before adding to batter. else they will taste raw. 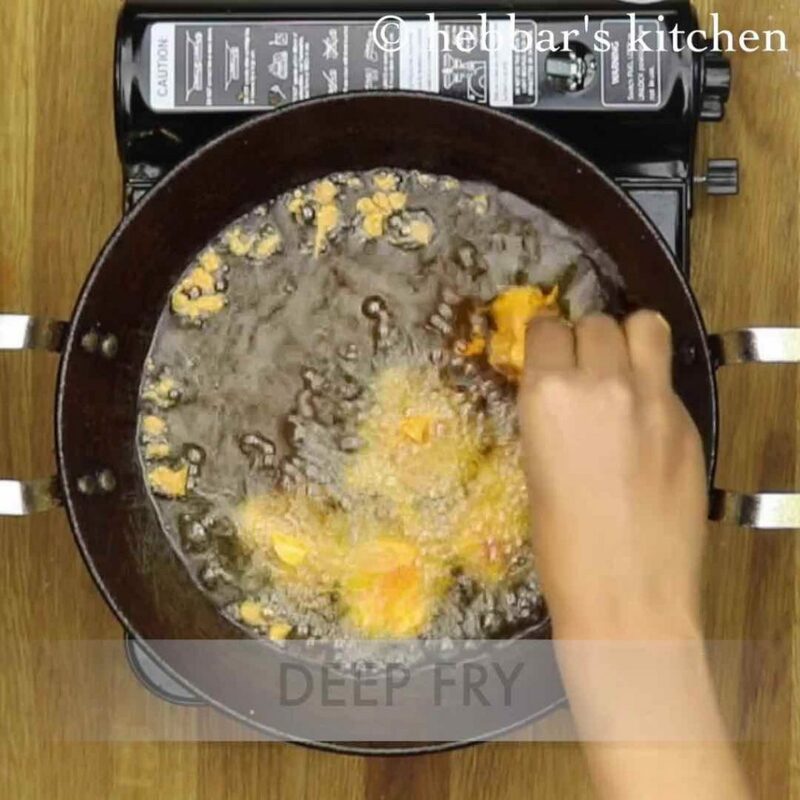 now deep fry the florets covering with batter. also stir occasionally till they turn golden brown and crisp. 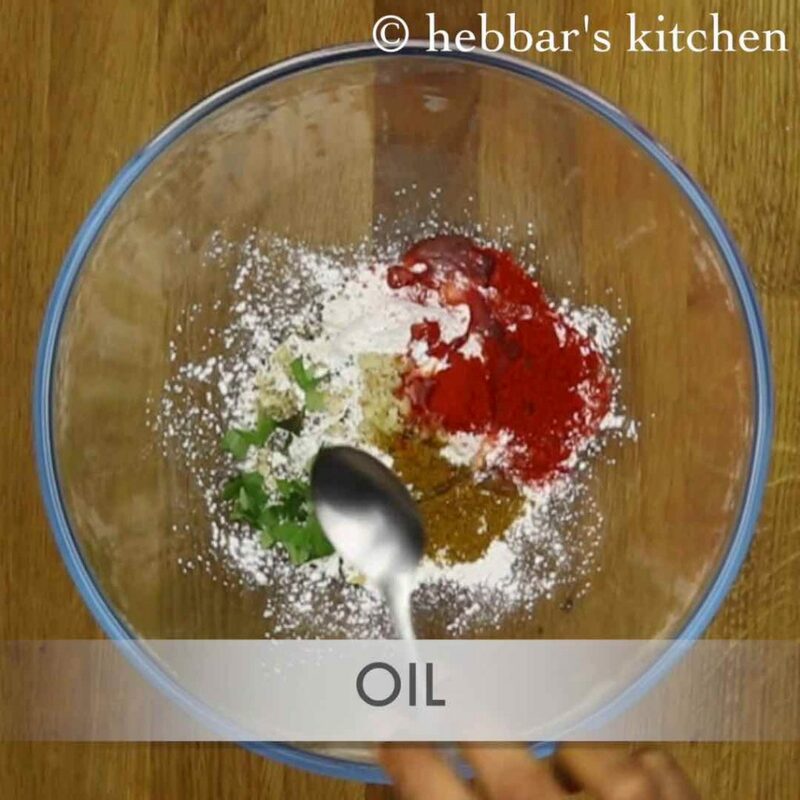 further, drain over kitchen paper to absorb excess oil. 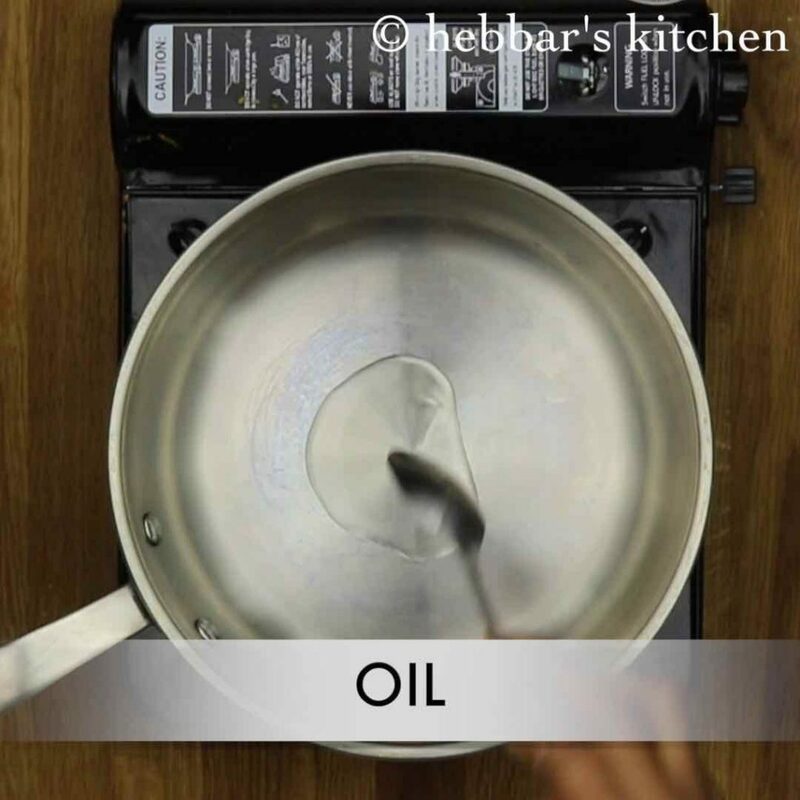 meanwhile, heat the oil for tempering. add cumin seeds and saute till they splutter. followed by, add green chilli, curry leaves and garlic. saute them for a minute. 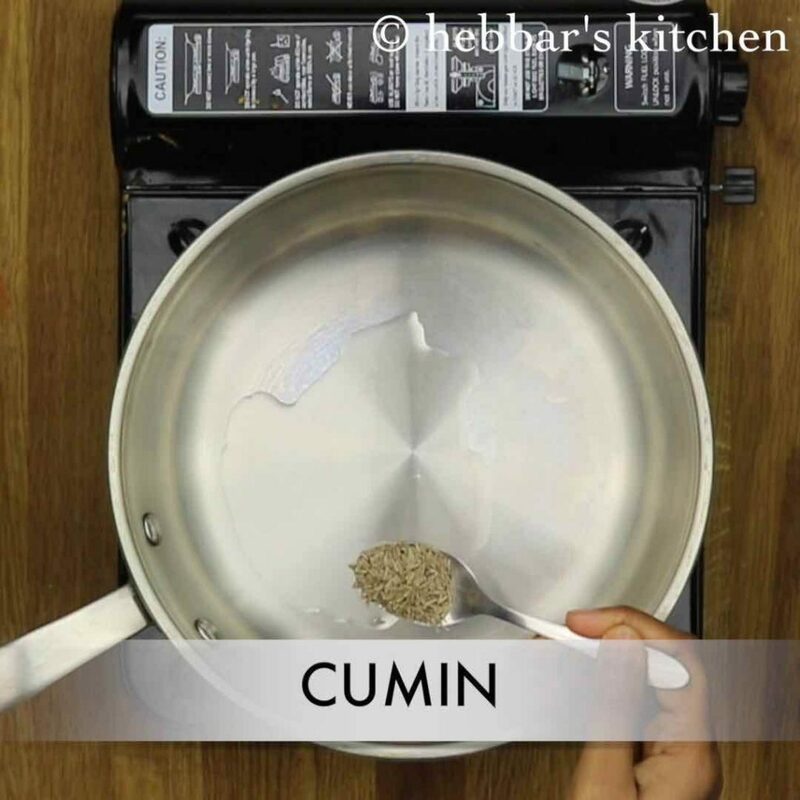 also add chilli powder, garam masala and curd. 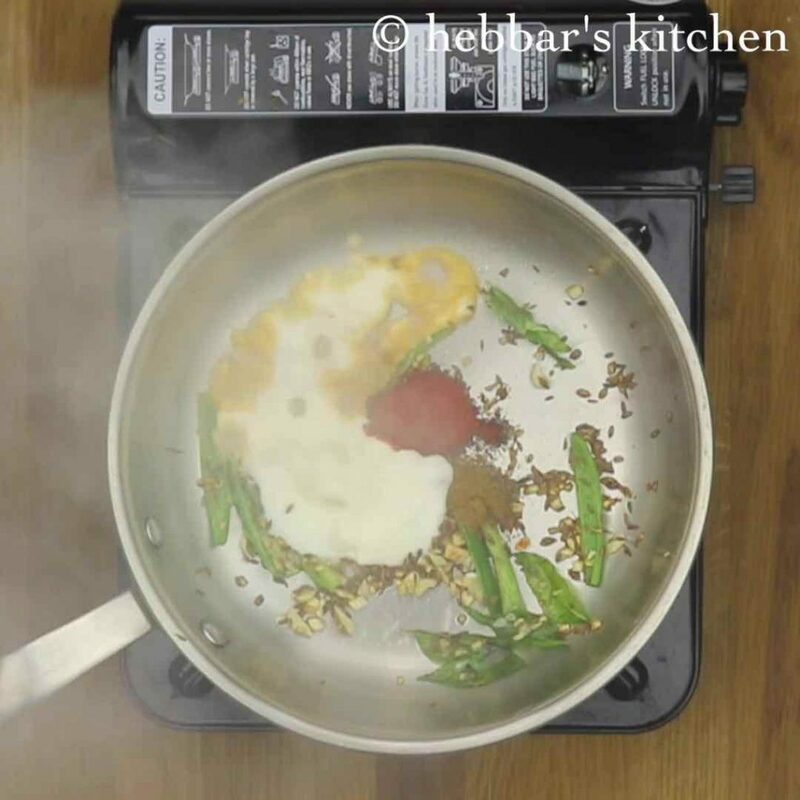 on a very low flame, mix well till the curd blends well with spices. further add fried gobi and mix well. finally serve gobi 65 with few onion rings over it. 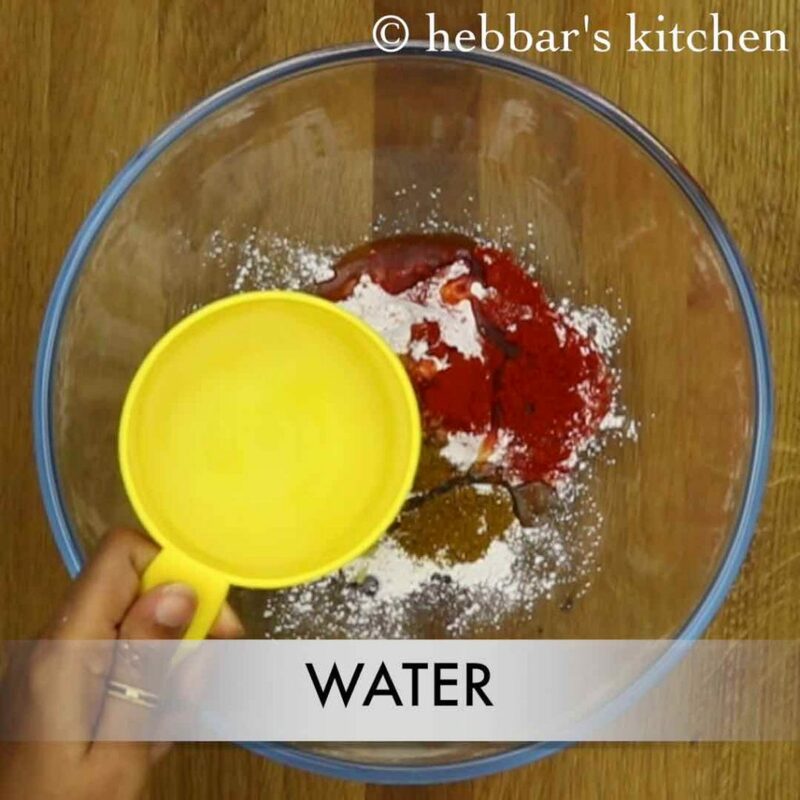 firstly, make a smooth batter using a whisk. furthermore, adjust the chilli powder if you do not like spiciness. also, add a pinch of red food colour for bright red colour. finally, tempering is optional. however adds more flavour. This is my favorite strter.Thanks for the recipe Archana. I will try soon. You are welcoem Aakash. 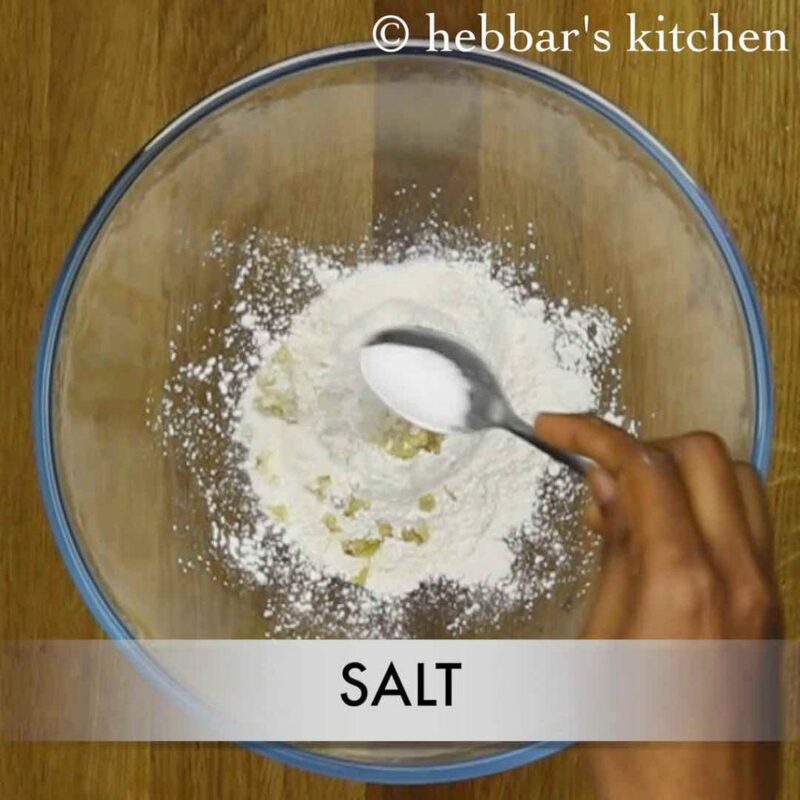 If the batter was not sticking to your gobi florets than the gobi was wet and was having moisture in it. Try with a dry gobi florets next time. I tried this today. The taste was yummy. But my curd got separated when i poured it in the pan. The flame was in sim. Any idea why that would have happened? Apart from that it was awesome… Thanks for the receipe. i think your pan was extremely hot? curd gets separated with excess heat. I tried this recepy but the outer covering did not stick to flower florets. It was sticky n separated from florets. What wld have gone wrong?